If you’re lucky enough to live in El Dorado Hills, then you know there’s hardly anything better than a refreshing dip in your pool during the hot summer months. However, to ensure your pool is pristinely clear and ready to use on a daily basis, you need to stay on top of it. Preventative maintenance can not only ensure your pool is sparkling clean but will also save you a fortune down the road. 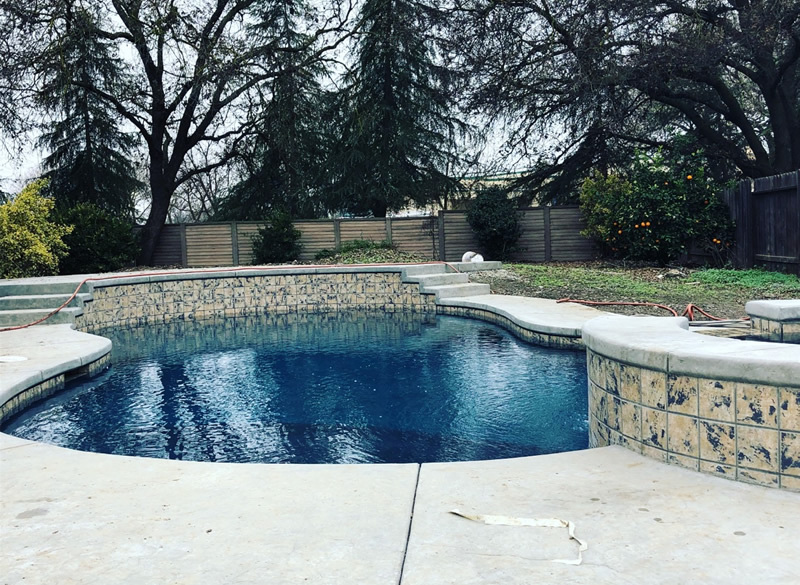 El Dorado Hills swimming pool service experts recommend checking your pool chemistry once or twice a week during the summer and every two weeks during the winter. Make sure the pH is kept between 7.2 and 7.8; as a rule of thumb, the lower your pH the less chlorine your pool needs. No one likes to swim in debris so take the time to clean the hair and lint pot located on the front of the pool pump every couple of weeks or so. Make sure to check the water level too – it should not be too high as it may impair the functioning of the skimmer door or too low level as it can run the pool pump dry or burn it up. Swimming pool service experts recommend striving for a ‘just-perfect’ level – right at the center of your pool skimmer or pool tile. The hot summers and lots of sunshine El Dorado Hills its known for having made aboveground pools an extremely popular option in the area. If you have one, regular swimming pool service and maintenance it is necessary to have which will ensure crystal blue water. Clean the exterior and interior of the pool with brush, soap, and vacuum the pool at least once a week – this will minimize algae and calcium deposits on the wall and floor. Using a handled net can help you a great deal in removing any floating leaves, bugs and other debris. Swimming pool service experts also add that skimming regularly improves the circulation of water and reduces the amount of chlorine you need to use. When it comes to swimming pool maintenance, the DIY approach can be a cost-effective option for pool owners who are familiar with basic pool chemistry. However, hiring a swimming pool service company can save you both time and money in the long-term. The professionals will handle all the chores associated with your swimming pool maintenance and also use professional-grade chemicals so you can enjoy that sparkling, crystal blue water every single day!